This is the movie that Marvel fans have been waiting for! Over the last few months, a buzz of excitement has surrounded the final installment in the Thor movie trilogy. In the weeks leading up to the film’s release, critics have deemed it to be Marvel Studios’ best movie yet. Director Taika Waititi has re-vamped this classic Avenger story with a fun and unique storyline as well as a brand new cast of characters. 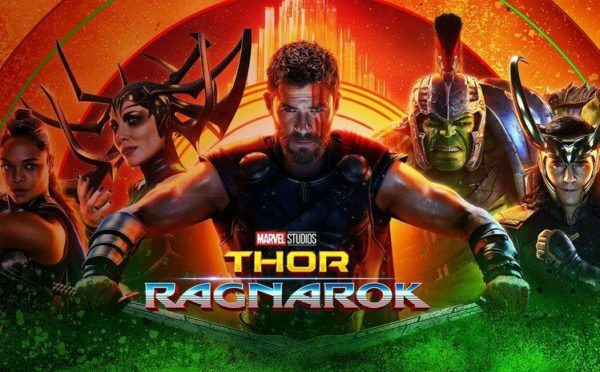 With the help of a rag-tag team of warriors, the Hulk (Mark Ruffalo), and a Valkyrie (Tessa Thompson), Thor is able to take back his homeland and defeat his sister. In an epic final battle, Thor realizes that he must unleash Surtur in order to cause Ragnarok, which will destroy his sister’s powers. Thor is one of Marvel’s most iconic superheroes. With his flowing blonde locks and his mighty hammer, Mjolnir, the mighty God of Thunder has become a household name. The first two movies, while entertaining, did not deliver the incredible power that Thor had shown in the Avengers films. Ragnarok completely changes this. Not only does the audience get to see Thor go head-to-head in a gladiator fight against the Hulk, but we discover that he is able to summon lightning at will! He has no need of the hammer, which Odin explains to him was just a tool that helped him focus and direct his power. In addition to Thor’s battle prowess, Valkyrie demonstrates her skill as a warrior. She is seen singlehandedly fighting off hordes of undead soldiers that Hela conjured from beyond the grave. Additionally, Loki can be seen using his magic to trick people. Hela herself is an incredibly powerful being; as the Goddess of Death, she is able to reanimate the dead. She is also able to pull lethal weapons out of thin air. Marvel has created yet another thrilling tale full of monsters, family drama, and (most importantly) laughs. If you like light-hearted superhero movies, this is right up your alley.